Johnson Controls Inc. will build a second factory to build lithium-ion batteries for hybrid electric and plug-in electric vehicles, the company announced Thursday. A location for the factory has not been announced, the company said in a statement. “Once a location is identified and the facility constructed, it would add nearly 300 additional jobs when at full capacity,” the company said. Plans for a new factory were announced as company executives welcomed President Barack Obama to its Meadowbrook factory in Holland, Mich.
Obama said administration policies aimed at reducing oil imports are part of an effort to invest both in research and new technology. For more on Obama's appearance, click here. 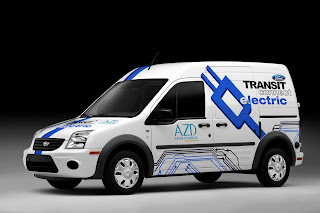 The Michigan factory that Obama toured will be the first in the country to produce complete lithium-ion battery cells and systems for hybrid and electric vehicles, producing battery systems for automakers such as Ford’s Transit Connect plug-in electric delivery vans. The Michigan plant will employ 320 people at full capacity, the company said. “These projects are great examples of public-private partnerships that use innovation and technology to produce products that reduce fuel consumption and create jobs,” said Steve Roell, company chairman and chief executive, in a statement. Across the Midwest, Johnson Controls Inc. is adding 700 jobs and retaining another 400 through its investment in advanced lead-acid and lithium-ion batteries, Roell said. "Through innovation and investment in technology and people, Johnson Controls is a leader in the energy storage industry,” he said. “We are investing more than $460 million in our advanced battery business for manufacturing and technical facilities here in Michigan and the U.S. These investments will lead to over 700 new jobs, retention of another 400 and approximately 1,000 construction jobs," Roell said. In addition to the new factory and the one now opening, the company also recently opened its expanded battery technology and test center in Glendale, which created 60 jobs. Finally, in June the company announced it would invest $138.5 million at its battery factory in Toledo, to convert it and expand it to produce advanced lead acid batteries that deploy start-stop technology. This technology enables vehicle engines to turn off at intersections, turning back on when the gas pedal is pushed. A new greenhouse gas and fuel economy program announced last week by the Obama administration will give credits to companies that deploy the start-stop technology, for which Johnson Controls has a leading market share. The Toledo investment will retain 400 jobs and create 50 jobs, Johnson Controls said. The investments are part of a plan by Johnson Controls to secure a leadership role in advanced batteries as the automotive industry moves to electrify the vehicle powertrain. The Glendale firm is the world's largest maker of lead-acid batteries, producing them for automakers and for retailers like Sears and Wal-Mart Stores Inc.